JUST when we, on the Copperbelt, thought we had been re-connected to Zambia National Broadcasting Corporation (ZNBC) Radio 4 after a long time, the channel is now in an on/off situation. For a long time, one could not catch Radio 4 in Ndola until early this year when listeners bumped into it, sadly, the channel is not reliable. Its difficult to explain why at some point the channel could be picked on car radios and not from homes. Radio 4, being a national and pioneer station is a fundamental player in the radio industry that has been chocked with new entrants over the years. Given the authority, one could even justifiably credit Radio 4 with the slogan, “We lead others follow,’ but only if the channel was more stable than it is now. Shalom Zambia, a unique religious presentation on Radio 4 last week featured music of South African musician Steve Kekana. From the usual propounding of the Word of God, last week’s programme was full of inspirational quotations, with a different touch of music. It was encouraging that, Louis, a radio personality at Zambezi FM in Livingstone could phone through to another radio station, simply to appreciate his colleagues. 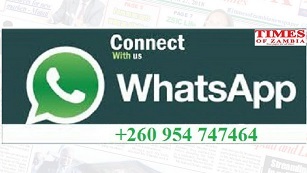 Louis phoned to Radio Christian Voice (RCV) last week identifying himself as one from Zambezi FM and engaged his colleagues who were on air, an exceptional gesture that was. Kafula was at it again on her Zedbeats last week, this time featuring Mwana Wa Leya, MC Wabwino who has since gone gospel. Like many listeners who phoned through to the programme, MC Wabwino sounded truly converted, and more of a preacher man. His gospel pieces that were sampled on that programme were just as good, if not better than his previous releases. The flock at St Peters Anglican Church in Lusaka where he congregates must be benefiting from the singing of the man known as Mukosha Chembe. Who remembers the music of MKV, a fast waist wriggling artiste, thank God the man is now a converted gospel artiste going by the name Mannaseh. His old music was played on Radio Phoenix on a programme called, ‘Then and Now’, from a song like Chikondi Chamdizi to his gospel ‘Vina na Yesu’, featuring another converted artiste Israel, who was previously called Exile. If they say ‘Your good works shall follow you’, then Sun FM’s Allan Mbewe (Big Al)’s impression he made while in Lusaka still lingers in listeners minds. 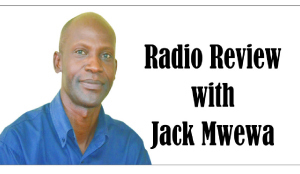 Juliet Phiri wrote; “Dear Jack, I live in Lusaka, but I passed through Ndola on my way to Luanshya which is my home town, it was refreshing to hear one voice I have missed on radio. I tuned in to one radio station on 88.5 FM, only to hear that booming voice of Big Al, we have missed his voice, I wonder if that radio station can be picked from Lusaka. My colleague Stephen Kapambwe wrote an interesting article last week about ‘over-used’ jokes by our local comedians. In the words of Steve, who is assistant features editor at Times of Zambia; “The comedians, especially the so- called big names, like Bob Nkosha who also doubles as the wayward Dorika, Derrick Kondowe and one Patrick ‘Saulosi’ Salubusa tell the same old jokes which many in the audience have heard many times before. That is not only boring to say the least, but most importantly, it would in no way help to build up the arts at a time when the country was begging for investment in such areas. This showed that our comedians have a weakness in generating material which can be used to sustain their stand-up comedy. They learn one joke and want to sustain their careers on that one joke which they could not even have generated themselves but probably heard from somebody else. However, like musicians who need to have fresh songs to keep entertaining music fans, and like poets, authors and the like, comedians need to acquaint themselves with new events, learning new lingua and new developments that can become a great source of new material. Much as Steve took a swipe at the comedians, the same can be said about some of our radio presenters who are ‘stuck’ with the old vibes. Believe it or not, some of our radio presenters do not have their own style of presentation but have picked the rapping fashion from old-time presenters. A knowledgeable radio presenter will flow with either jokes or rapping with ease from the rich reservoir of awareness he or she could have acquired over time. We still have a good number of men and women on radio locally who are quite good, but those who heard late South African Broadcasting Corporation radio and television presenter Vuyo Mbuli can attest he was an accomplished presenter.